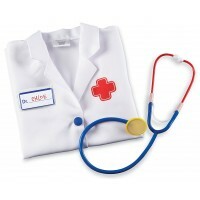 Now young veterinarians can wear a realistic animal doctor costume when they play doctor with their plush pets and toy animals. 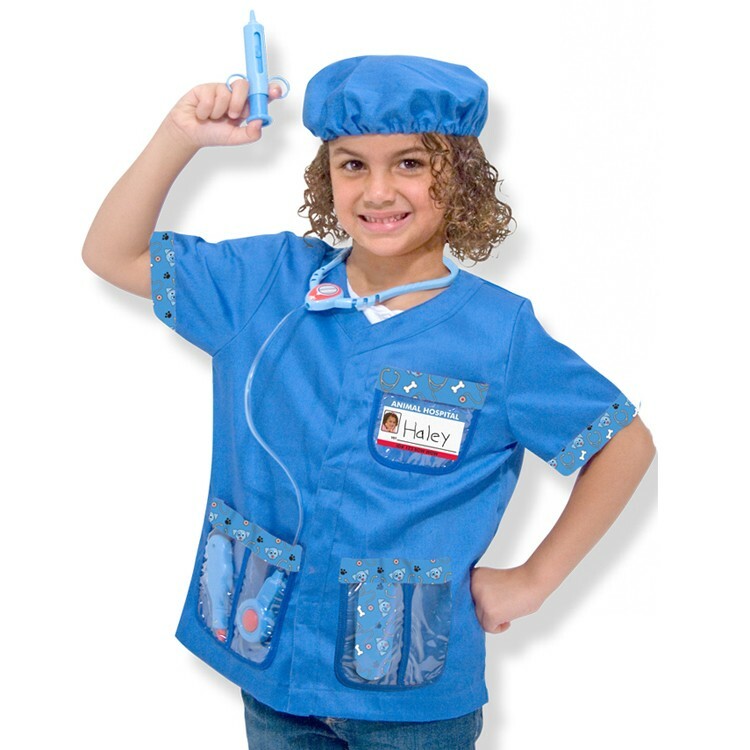 Now your young veterinarian can wear cool animal doctor costume taking care of their stuffed animal patients. 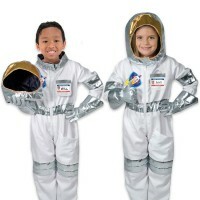 They will have their own vet costumes! 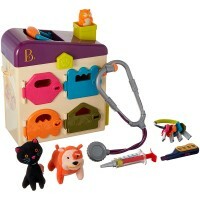 Vet Doctor Kids Costume Role Play Set by Melissa & Doug will inspire all animal doctors. 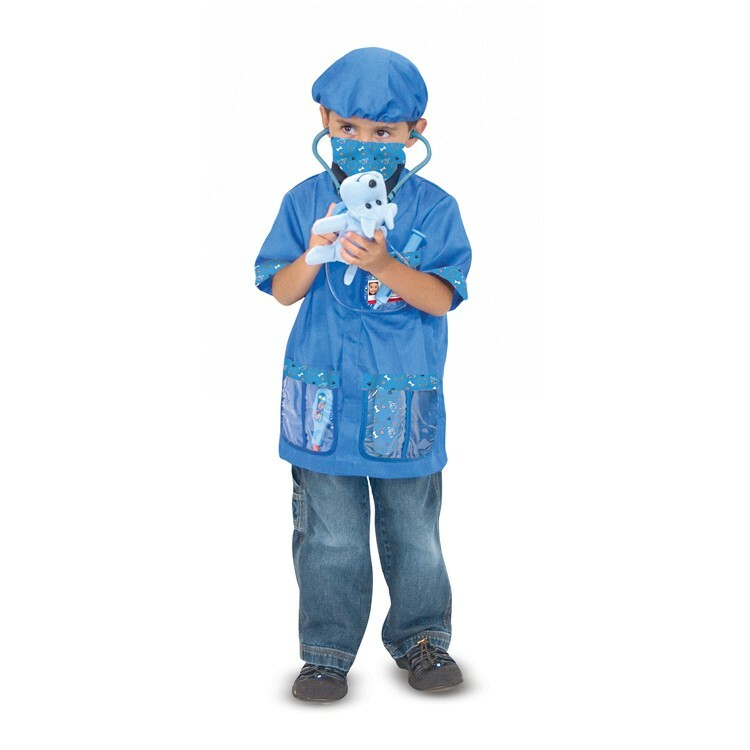 This kids vet dress-up pretend veterinary set includes a machine-washable blue jacket, mask and surgical cap. 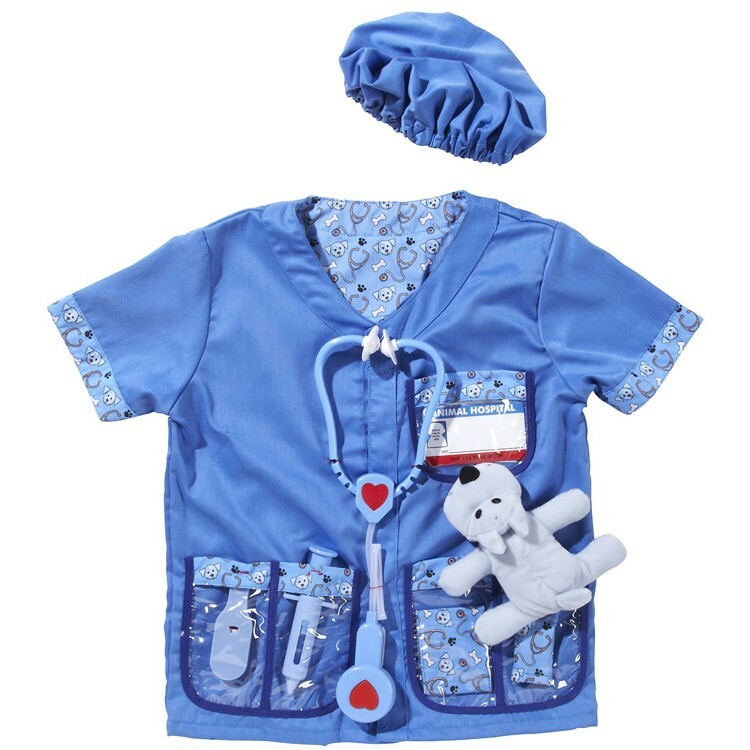 The Vet Doctor Kids Costume Role Play Set comes complete with a toy stethoscope with sound effects, syringe, thermometer, mask, cap, bandage, reusable veterinarian name tag and a little stuffed puppy to treat and play with. 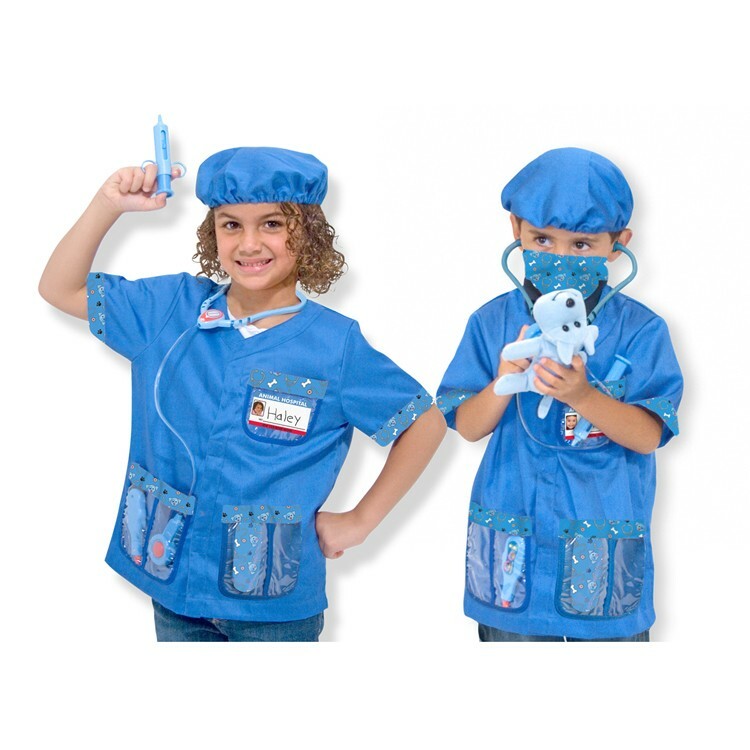 The animal doctor kids costume from Educational Toys Planet fits most children 3-6 years. 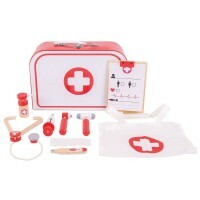 Dimensions of package 0.8" x 17.5" x 24"
Write your own review of Vet Doctor Kids Costume Role Play Set. 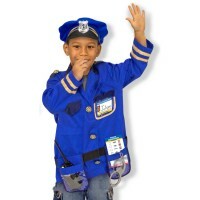 Rating: 5 Too cute by Jessica G Imaginary play and dress up are so important for young kids. 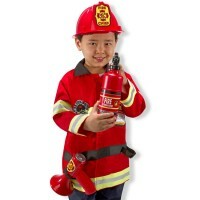 Preschoolers can practice social skills and learn vocabulary and life skills while playing pretend. 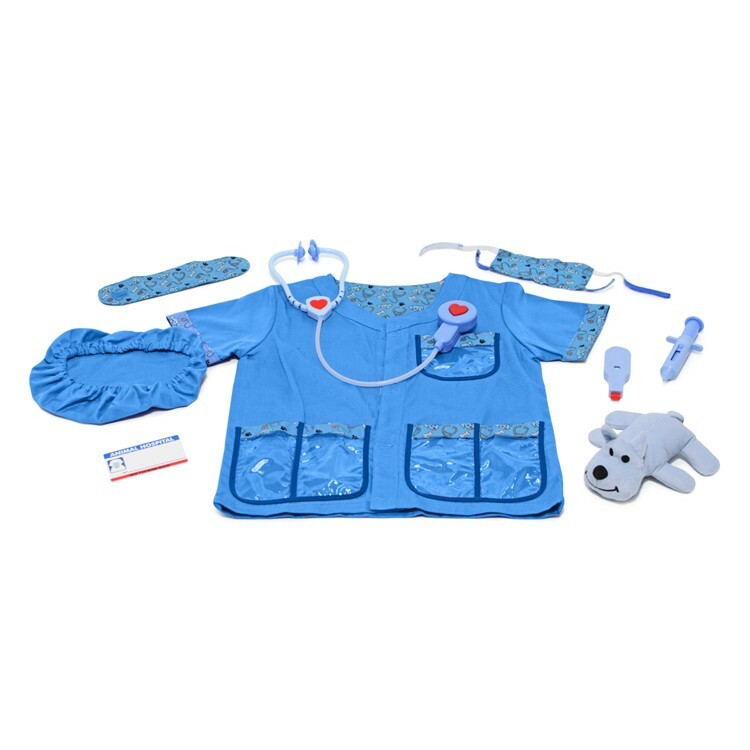 You may not realize it but each time your toddler puts on their vet coat, they are practicing dressing themselves and each time that they pretend to treat an animal they are learning the value of helping others. 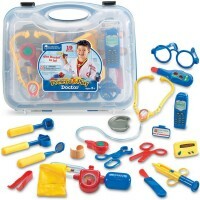 All of that PLUS a GREAT time!!?? 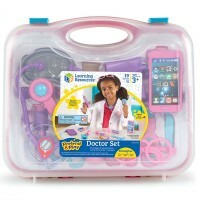 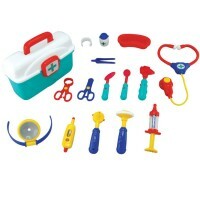 This set is a slam dunk for any kid interested in animals, community helpers or the medical field.